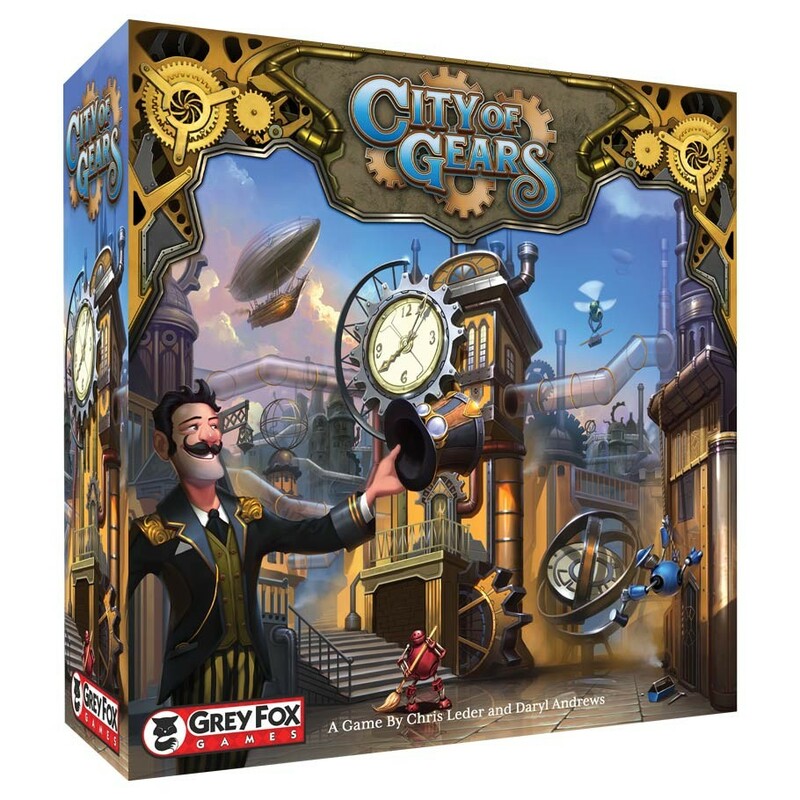 City of Gears is a unique steampunk game of exploration, area control, worker placement, and engine building. From you incredible Factory, you must race to claim ownership over the magnificent ruins of an abandoned clockwork metropolis. Each game plays in under an hour, and because only nine of the city tiles (out of 21 available) are randomly chosen and placed each game, no two games ever play the same. Using your automation workers to cause clever chain reaction and knock opponents out of your way is key to victory.